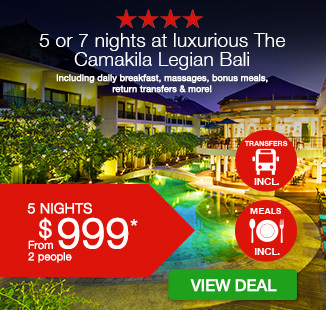 5 or 7 nights at luxurious The Camakila Legian Bali including flights, daily breakfast, massages, bonus meals, return transfers & more! 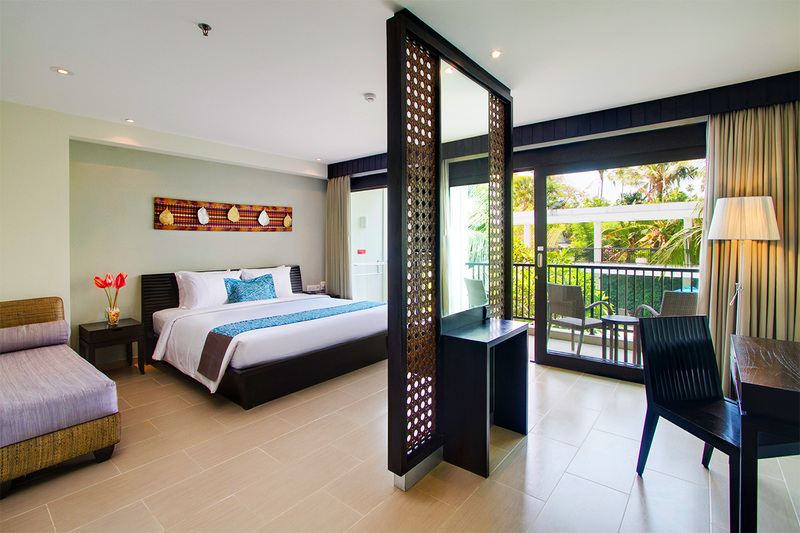 Your package includes return international airfares, daily breakfasts, return airport transfers, spa treatments, bonus meals and more! Return economy airfare departing Sydney, Melbourne, Brisbane, Adelaide & Perth with Jetstar, Air Asia, Tiger, Virgin Australia or similar. Includes 1 piece of checked baggage per passenger (actual limit is subject to airline). If promotional fares are not available on the dates of your choice, you can opt to pay an airfare surcharge or choose alternative dates. 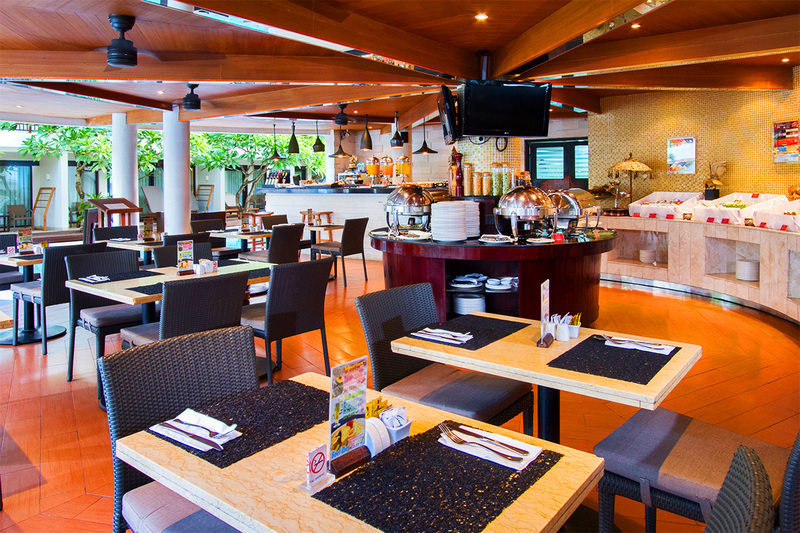 This surcharge can vary based on availability and our Reservations team can advise you when making your booking. One return airfare is supplied per voucher – children under 12 years of age accompanying adults will need to have airfares purchased separately. Infant booking is on request. 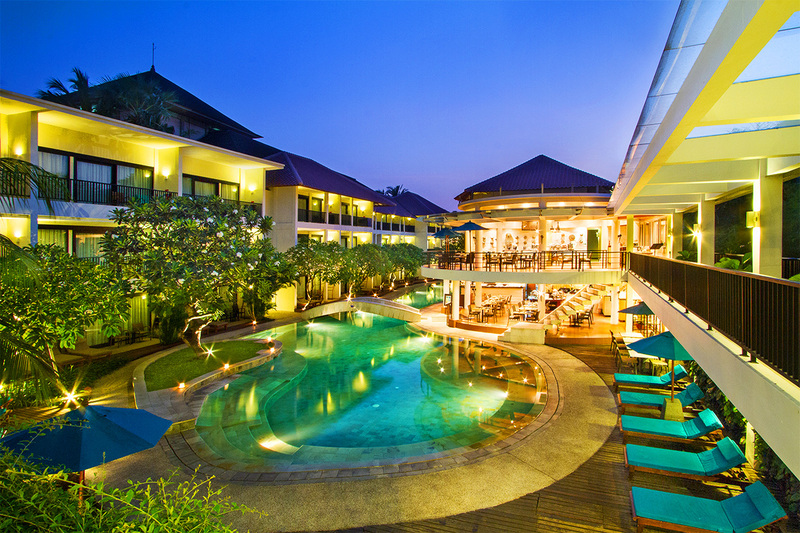 Escape the stresses of daily life with a holiday to 4-star The Camakila Legian Bali, located in the heart of buzzing Legian and fronting the beautiful Legian beach. 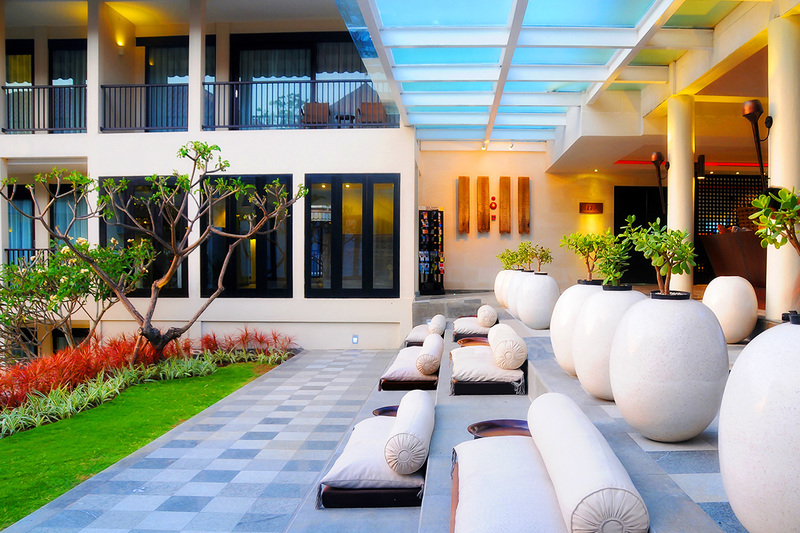 This rare sanctuary offers the very best of a luxurious Balinese experience with stylish accommodation, high class facilities and superb locale. 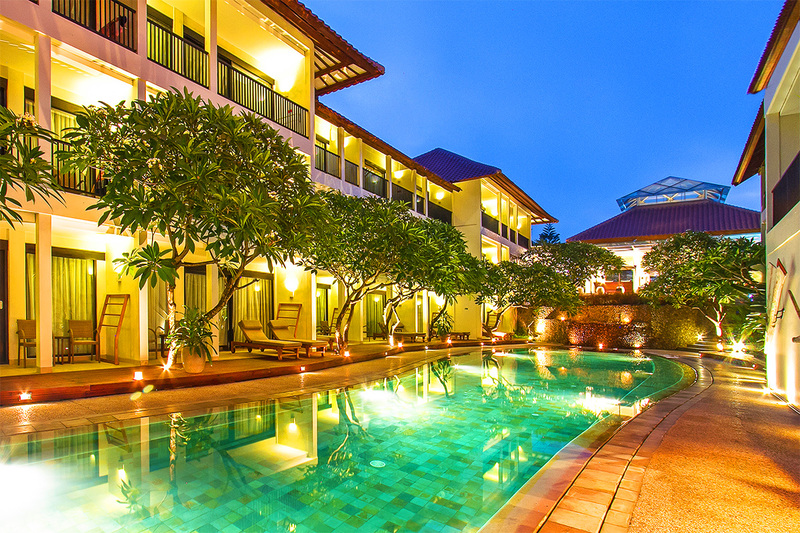 The Camakila Bali Resort is a Tripadvisor Certificate of Excellence winner. 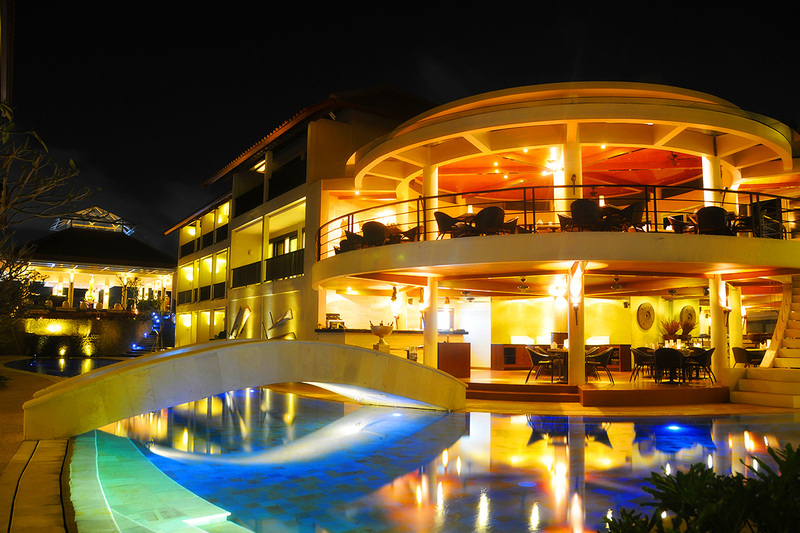 Your resort boasts 2 quality international restaurants, indulgent Salila SPA, lagoon-style pool and fitness centre. 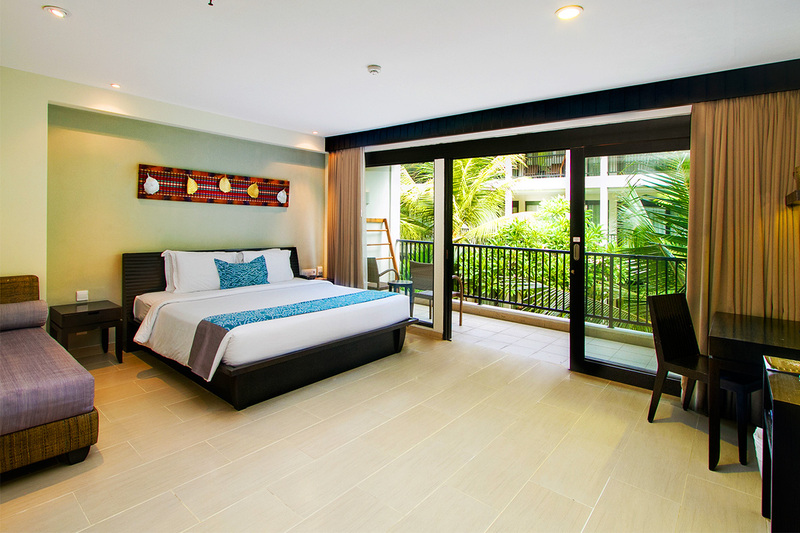 You will be within easy reach of the best shopping, dining and nightlife of Kuta and Seminyak if you choose to leave the private haven of this blissful resort. Your package includes return international airfares, daily breakfasts, return airport transfers, spa treatments, bonus meals and more! 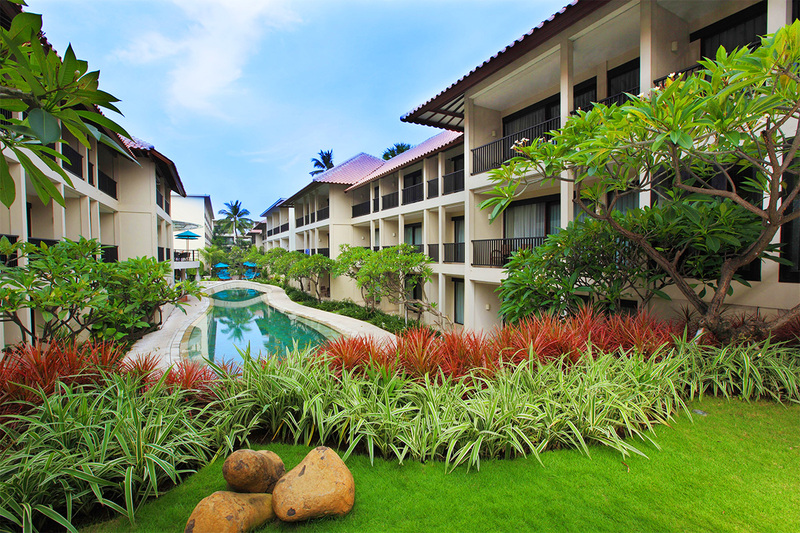 Your package at The Camakila Legian Bali is subject to availability at the time of your booking. We advise you to book early to avoid disappointment.